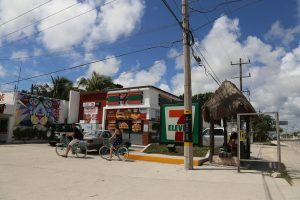 At the main stoplight, coming into Tulum from Playa del Carmen on Hwy 307 (711 convenience store on corner), is Carretera Tulum - Boca Paila AKA “Tulum Beach Road” / Coba Road. The beach would be a left turn SSW and the road to Coba is to the right NW, coming from Playa del Carmen. Coming from the town if you go left (NW), you go towards Coba (Coba Road), if you go right at the light (SSW), you are headed towards the Tulum beaches. To the Beach! 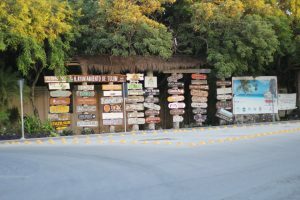 From the stoplight at Carretera Tulum Boca Paila and Hwy 307, you will drive towards the beach for approximately 2.2 miles (3.5 KM) until you come to a “T” in the road. 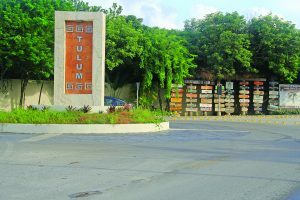 Here you will see the “cop stop” on the corner, pedestrian crossing and the “Tulum” obelisk landmark. Here is where the road begins to go parallel with the shoreline to the right or left. 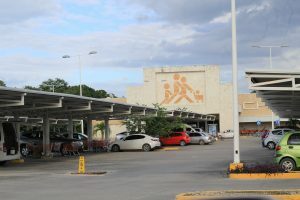 1) Grocery Store: As you are driving down Carretera Tulum - Boca Paila from the stoplight, headed towards the beach, you will find the main grocery store “Chedraui” on the left about ¼ mile down the road from the highway. 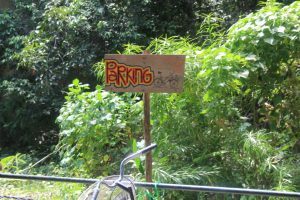 2) Landmarks at “T”: As you approach the “T” you will see a corner police station on the left. 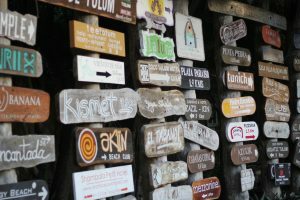 Look for the colorful wooden signs for the beach clubs, cabaña resorts and restaurants behind the obelisk to your right! 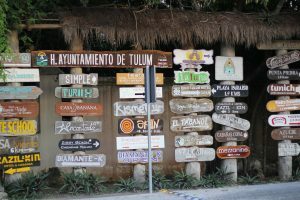 Previous Previous post: Tulum is a 2 for 1 vacation experience!! 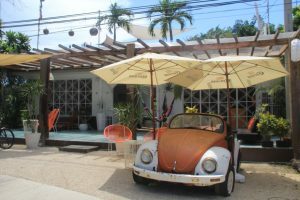 Next Next post: Merry Christmas Tulum lovers !! !